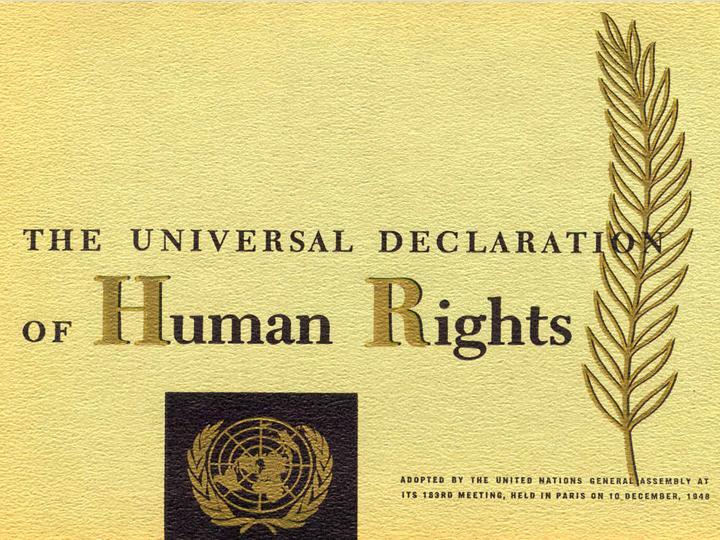 International human rights treaties have reformulated the ways in which citizens possess and articulate human rights and that governments are required to respect and validate these rights. Perhaps one of the most novel aspects of the early international human rights treaties was their creation of individual complaint mechanisms. Through these mechanisms, individuals who meet the appropriate standing requirements are able to bring a complaint regarding state conduct to the applicable committee for review. The initial novelty of the individual complaint mechanism has given way to increased usage of these mechanisms in more recent international human rights treaties, including those that directly and indirectly impact on women. At first glance, this would appear t o be a vehicle through which the individual is able to claim her rights as a member of the international community through the Universal Declaration of Human Rights and the individual human rights treaties themselves. However, when one looks beneath the surface there are deeper questions that impact the individual and the international community as a whole. My article, “Don’t Mind the Gap: The Rise of Individual Complaint Mechanisms Within International Human Rights Treaties,” forthcoming in the Duke Journal of Comparative and International Law, scrutinizes these trends. ► Key differences in terms used by these instruments. From these comparisons, it is argued that there is a discernible trend in the increase of asserted rights and claimed abilities of individuals through the expansion of individual complaint mechanisms. Against this background, the article examines individual penetration of the international human rights system and the implications of this trend for individuals and the international human rights law system as a whole. Although clearly the strictures of the international law system mandate that the individual complaint system is itself structured in a way that is essentially state-centric, the increasing prominence of the individual in international human rights law is a discernible trend that stands to alter the understanding of the international system. This prominence, however, is based on a greater sense of individual empowerment than the language of individual rights that has been traditionally used in international human rights law. The increase in individual prominence is certainly laudable but, by attaching this increased individual penetration of the international human rights law system to an ever-increasing series of specialized conventions, there is a significant risk of fragmenting the concept of the international human rights law system. For example, a woman might also be disabled, be part of a national minority group that is barred from voting, and be tortured by the state in which she lives. Many of her essential human rights have been violated and if her home state is a state party to the individual complaint mechanisms – and barring a justiciability problem – she will be eligible to make a complaint. But how is our victim to know which individual complaint mechanism to use? She qualifies under several different international human rights treaties and identifying her by only one of her traits or allowing her to assert one set of her rights denies her both individual identity and agency over the human rights that the international community recognizes are vested in her. By asking her to choose which aspects of her identity she wishes to express and which of her human rights she wishes to assert, the international human rights law system is in fact denying her the active ability to assert herself, her full identity and her human rights, and is, in effect, reducing the benefits that it has created through the establishment of individual complaint mechanisms as accepted tools of international human rights law. Essentially, this situation perpetuates the very paradigm that the more specific international human rights law treaties claim to remedy in that the full identity of the individual cannot be recognized as such. Here, however, this is the case because of a fragmentation of identity rather than an overly broad human or non-specific rights protection. Ultimately, this imperils the very gains made by the penetration of the individual into the international human rights law system that is achieved through the individual complaint mechanism as a concept since the individual cannot fully assert his agency and human rights, thus weakening the importance of these rights. Instead, it is argued that the individual, as the foundation of the human rights and dignities that are the backbone of international human rights law, should not need to seek specialized avenues of redress, but rather should be able to penetrate the international law system based on his basic identity as the holder of human rights and human dignity. This is especially so because these concepts of essential human rights and human dignity are at the core of the entire international human rights law system. This recommendation stresses both the internal status of people as holders of human rights and human dignity, while also doing away with the need to create new quasi-judicial structures that are themselves potentially limiting, depending on the ways in which they are drafted and function. ► Understanding of international human rights law. At the individual level is the underlying question of whether individual identity, which is reinforced through the ability to penetrate the international human rights law system, is threatened through the idea of fragmentation that is often needed to assert individual human rights violations.